It’s a genuinely amazing time to be alive if you’re a superhero fan. Not only are the Dark Knight and the Man of Steel going toe-to-toe on the silver screen this weekend for the very first time, but next week we will also see The Flash’s Barry Allen make the acquaintance of Supergirl’s Kara Danvers on CBS. There’s been much talk of continued crossovers in the near future if this one finds success, and now it seems that even The Flash’s Earth-2 characters could potentially find their way to Supergirl in the future. We just talked about that recently. There is room [for that], absolutely. With an established multiverse, virtually any combinations of character interactions have now been placed on the table. Doppelgangers from The CW’s Earth-1 and Earth-2 can interact with one another, but they can also make their way to the world of Supergirl. We want to see this happen, and not only to see Kara try to race the powerless Earth-2 Barry and absolutely destroy him. Doing this would also simply make for an incredibly easy way to get Grant Gustin over to Supergirl without having the journey disrupt whatever Earth-1 Barry Allen happens to be up to during a season of The Flash. Basically, everyone wins, especially us. While we’re incredibly excited about the notion of more small screen DC crossovers in the future, don’t expect Kara Danvers to make her way to The CW anytime soon, although it's certainly an option in the future. 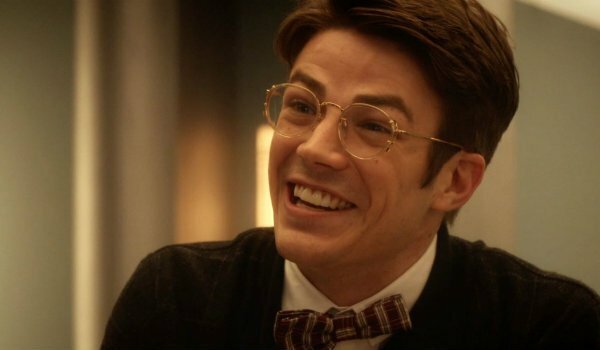 While the Arrow-verse has explored some truly outrageous sci-fi concepts, and pretty much laid all of the groundwork for other numerous outlandish ideas, The Flash still hasn’t introduced extraterrestrials to its universe yet. Suspension of disbelief must be expanded carefully, and while Supergirl has an established alien presence in its universe, fans of The Flash could find it incredibly odd to have an alien suddenly show up on the series. John Diggle said it best during the second season of Arrow, when he uttered “what next, aliens?” when Team Arrow was still coping with the mere existence of Mirakuru soldiers. Little did he know, right? Needless to say, the upcoming crossover between The Flash and Supergirl has us incredibly giddy. We will bring you any and all news related to the upcoming DC multiverse event, and be sure to check it out when Grant Gustin’s (Earth-1) Barry Allen and Melissa Benoist’s Kara Danvers finally meet each other for the first time on Supergirl, airing this Monday at 8 p.m. EST.